Life has been pretty calm this week. The kids have been at critter camp in the mornings, which has given me some time to update and spruce up a few things around the house. So, I thought I would share. But before I share things around the house..... If you have a Nordstrom card, today should be a happy day for you :) They just announced their Anniversary sale for cardholders!! The public sale starts on the 18th! It's probably my favorite sale of the season, new fall stuff is marked super low and even some summer!!! I plan to come home with my cup of fruit while the kids are in camp today and shop away :) Check back later today if you are interested in what I am loving! But for now here are a few things you should not miss, including my favorite workout pants here and these Tory Burch sandals!! I stopped in at TJMaxx earlier this week looking for new lamps for Taylor's room. I left with no lamps and two new barstools. Does that happen to you at TJMaxx too? Anyways, I have been wanting to switch out our barstools for quite sometime now. I just had not seen anything that I loved for the right price. I instantly fell in love with these when I spotted them, and after bringing two home and posting them to Insatgram you guys quickly suggested I needed three. Thank y'all so much for that, I think three looks so much better, and it's such a fun change. I know they are a little modern, but I kinda like that about them. In this next picture you can see a peek of our dining room and I have a few modern touches in there as well (well maybe just the art and rug). But, I think they blend pretty well together. I finally framed one of my Wee Little Monsters prints. Aren't these animals just the cutest!?! 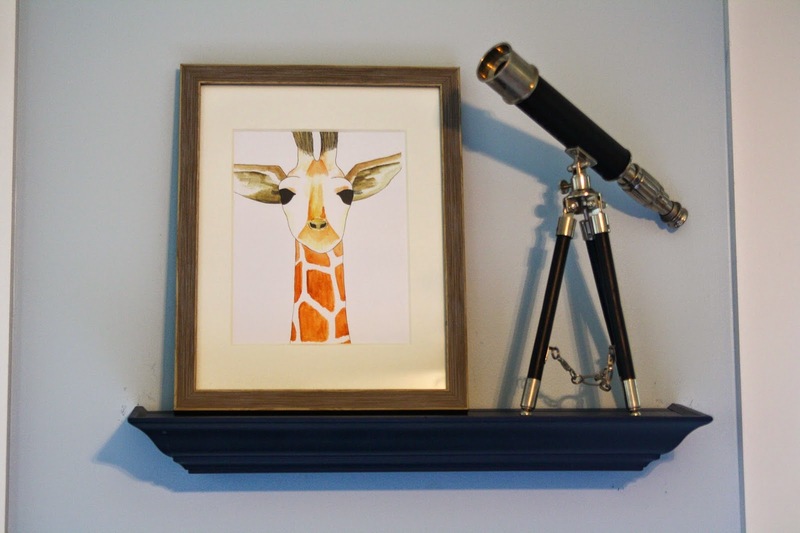 I placed it on a shelf in Carson's room and I think it looks darling sitting up there. He always notices when I switch things around in his room too. That night before he went to bed he said, "Hey mom I like my new picture". Ha, he's such an observant little guy. Another TJMaxx score...... this white faux croc skin tray for $9.00!!! 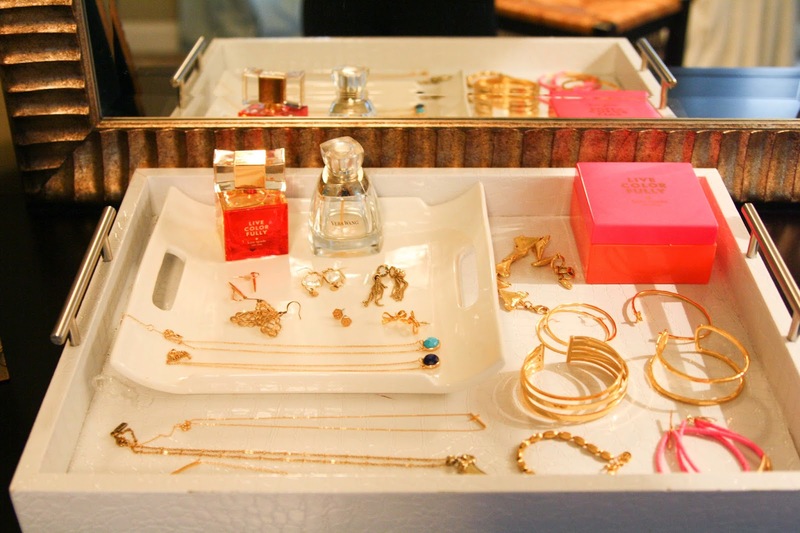 I needed a larger tray for some of my jewelry on my dresser and this fit the bill perfect!!! I found the prettiest little flowers at Lowes this week. Anyone know what these are called? 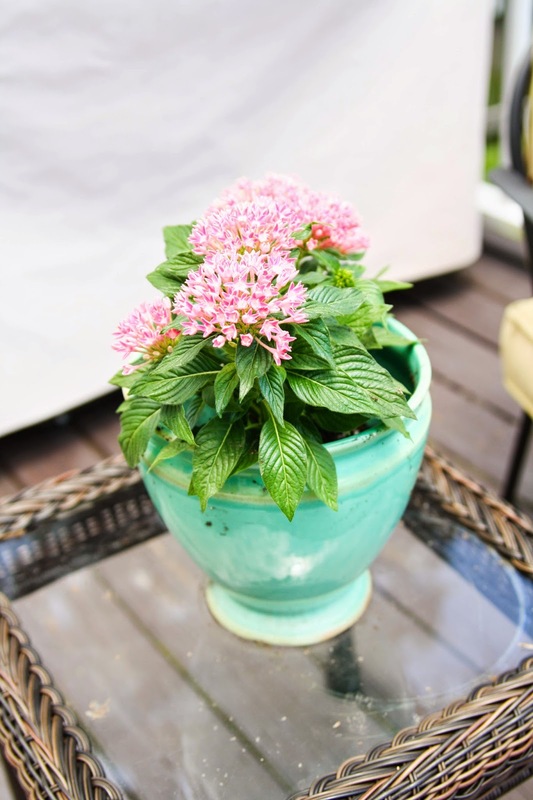 I put them in a teal pot I already had and sat it on a table on our deck. I love the way flowers just liven up a space. Pink and teal are one of my favorite color combinations too. Love the changes that you've made! I think those flowers are called Pentas. Can't wait to see what you did in the dining room!! LOVE all of your updates! Especially those amazing stools! We have an unused ice cream maker too. I just got it last week from my aunt who never even opened it. Can't wait to try some! We have some homemade banana ice cream in our freezer right now! My husband will not eat store bought after having homemade (I'm not so picky - I love it any way I can get it). 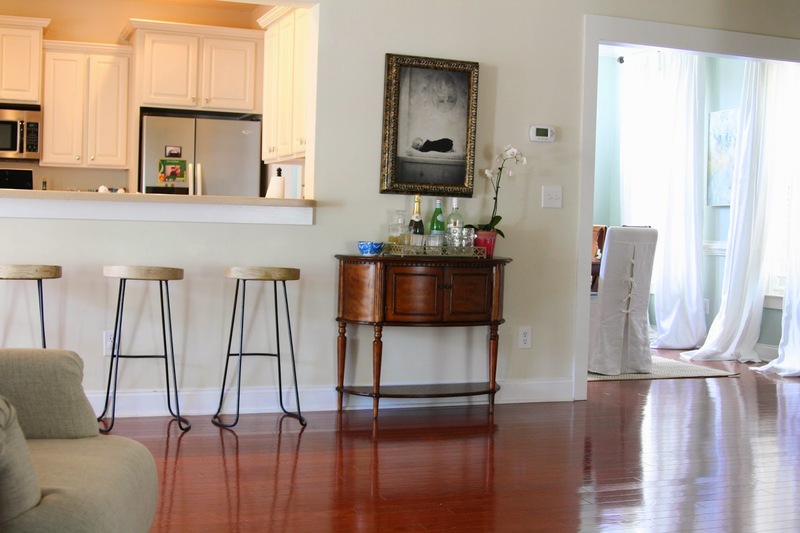 Love the stools and man your floor is shiny and clean! And the dining room looks stunning - I want to see more!! The new barstools look great. I definitely like the 3! 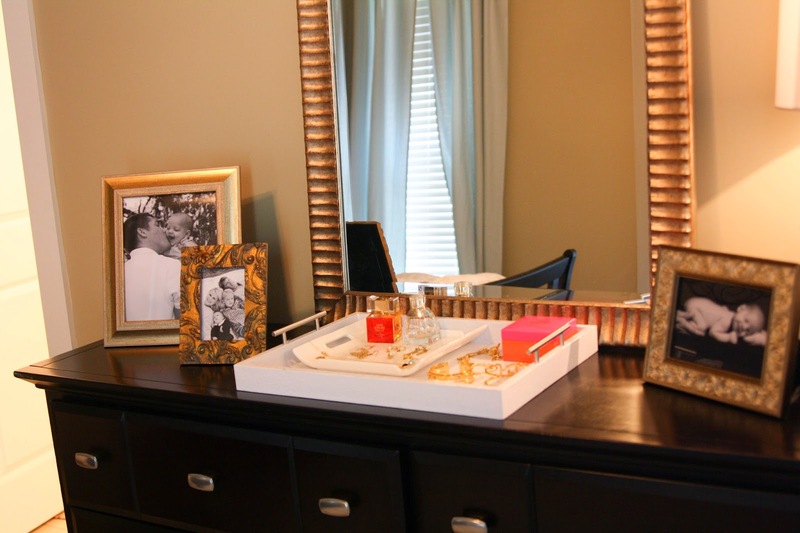 The print in Carson's room is super cute too, and that jewelry tray is a great find! I love TJ's!! I love those barstools, saw them at our TJMaxx too and wished I had somewhere for them!! 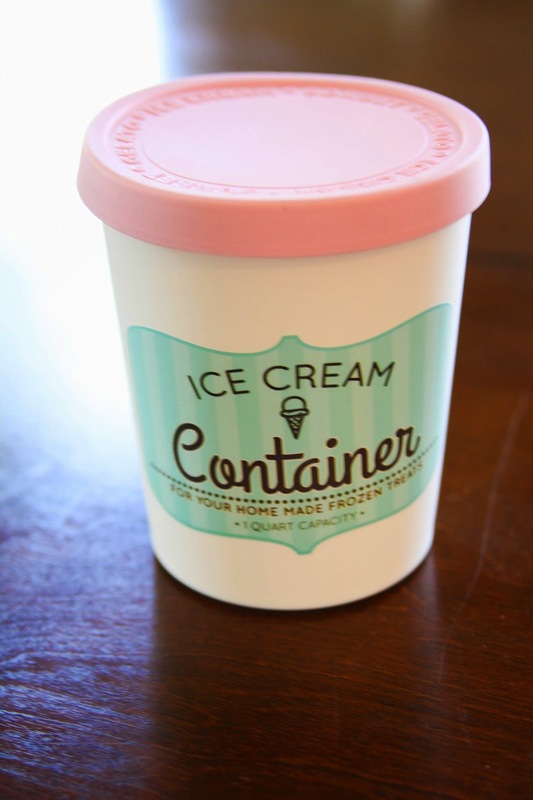 We have an ice cream maker too and I just always forget about it but that container is darling! On point girl! Your updates look right out of a magazine! I love a room with different textures, wood, metal, fabric, etc. You nailed it with those chairs, thanks for the heads up on the Nordy sale! The bar stools looks really great! 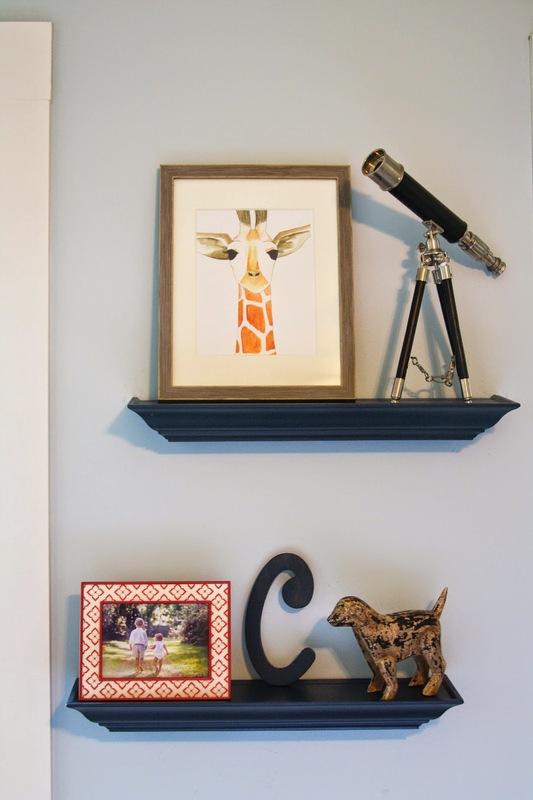 I like that they're a bit modern, while the rest of your home seems to be mostly pretty classic -- makes things interesting and unexpected :) Loved seeing your home updates! 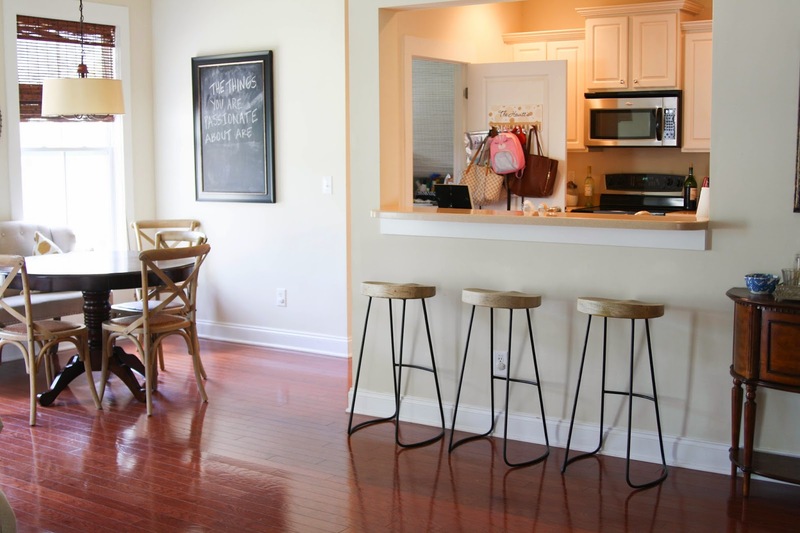 Yes - totally great idea about 3 barstools - it makes the breakfast bar look bigger and I like the modern stools next to your awesome bar. Gotta love a TJ score! I love all the little updates. I'm currently doing that to my home office, kids school nook and bathroom. The barstools look GREAT! Where do you pick up a lot of your frames? They all look so unique! I adore your new barstools! I think they are beautiful!!!! Your house looks great. That breakfast area and those barstools now - I think it all works so well together!